Loughside B&B is conveniently located in Carrickfergus, one of Northern Ireland's oldest and most historic towns. We are just a few minutes from the historic Carrick Castle, and the Carrick Marina. It's a fantastic base to be able to get out and about and see all that Northern Ireland has to offer, as it's conveniently located close to both the Ferry Ports (P&O in Larne, or Stena Line in Belfast) and both Airports (George Best City Airport is approx 15 minutes drive, and Belfast International Airport is approx 25 min drive). 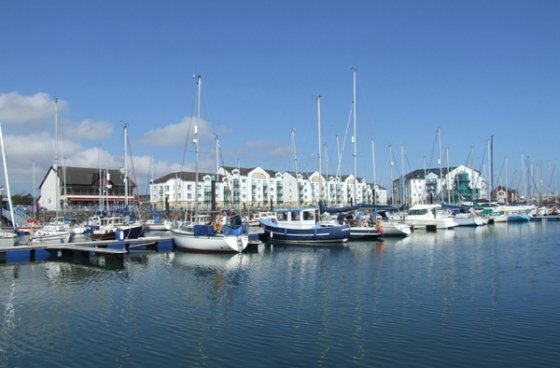 Carrickfergus is based on the shores of Belfast Lough, upon Northern Ireland's famous Antrim & North Coast Coastal route... we have some of the most stunning coastal scenery in the world, and there are many amazing day trips to be had, with Loughside B&B being the perfect base for your adventures! Within Carrick itself, we have some fantastic restaurants (both in the Marina and nearby, which are a ten minute walk from the B&B), as well as some favourite fast food spots and a Cinema. There are also two large supermarkets if you need any provisions for going on a day trip. We are lucky to have the world-famous Maud's Ice Cream parlour, just ten minute stroll from the B&B, and with it opening until 9pm, it's a perfect post-dinner treat. There are also lots of pubs and bars in the locale, if you would like to sample some famous Irish hospitality! In addition, there are a number of small museums, including The Andrew Jackson Centre, and Flame Gasworks- Ireland's only preserved Victorian Gasworks. If you would like to venture further afield, Belfast City Centre is just 20 minutes by car, and we have bus stops right outside the B&B, and are only a five minute stroll to the train station. In Belfast, the world is your oyster, and you can partake in world class fine dining by visiting one of our Michelin Starred restaurants, or have a cocktail in the World's Best Hotel Cocktail Bar*... There's so much choice! A couple of years ago, Belfast was proud to host the World Police & Fire Games, and we were delighted to welcome a team of French & Spanish Fire Fighters to Loughside B&B. They went on to win a host of medals! In 2014, one of the world's largest sporting events came to Belfast and Dublin. The very exciting Giro d'Italia(first) stage bicycle race, and the country became PINK!! (Giro's official colour!). It caused a great stir and thousands of visitors flocked to see this major cycling event. More recently we had the Giro d'Italia 'Gran Fondo' this past summer (2015) and are delighted to announce it will again be back in June 2016 and again 2017. So for any cycling enthusiasts..... this is a super event not to be missed..... and we are located only 15/20 minutes drive away. 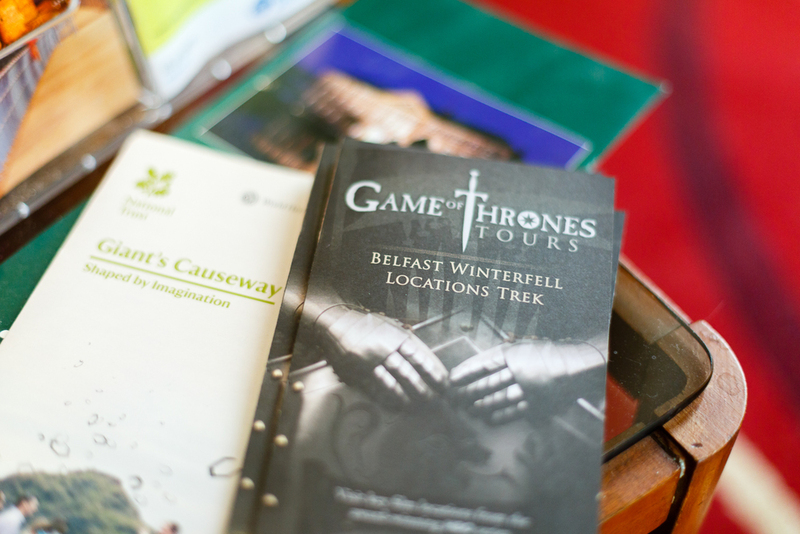 Much of the famous show HBO Game of Thrones is filmed on the Antrim Coast, and, in addition to going to the Game of Thrones experience in Belfast and going on one of the tours, you can plan your own route and visit beautiful spots like the Glens of Antrim, Ballycastle Beach, Ballintoy Harbour (or the Iron Islands, as Game of Thrones would have you believe! ), Dunluce Castle (as legend has it, after which the castle Cair Paravel from the Chronicles of Narnia was modelled)... while up that way, you can take a tour at the famous Bushmills Distillery and enjoy some real Irish Whiskey! Let's not forget the world famous, Giants Causeway (the only UNESCO World Heritage Site in NI), and Carrick-a-Rede rope bridge. Whitehead village is only 10 minutes by car from the B&B is a fantastic way to spend an afternoon, with some enjoyable gift & craft shops, great coffee and eateries and a beautiful beach with a walk to one of the last lighthouses in Northern Ireland! Whitehead is home to the famous Steam Train Museum, and is situated close to the newly opened and much publicised Gobbins Path in the green and idyllic farmlands of Islandmagee. You will marvel in our rugged, idyllic and unspoiled coastlines and come back, ready for a sound sleep with your lungs full of crisp sea air. To find out more about what's on in Carrickfergus town, please visit the Carrickfergus Council Website. To help plan your visit, we recommend Discover Northern Ireland website, it's a wealth of information and will help you seek out some incredible adventure spots!